It is no secret that technology can be used to violate a person’s privacy rights. 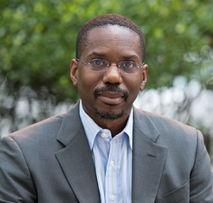 However, in his faculty workshop presentation and paper on Sept. 16, 2014, Professor I. Bennett Capers from Brooklyn Law School challenged this conventional view and argued that technology also has the capacity to protect citizens’ rights. He focused on the Fourth Amendment and how technology could assist police in carrying out searches more effectively and less discriminatorily than they currently do. For example, the police could use an app to contact a magistrate and obtain a warrant almost immediately so that there will be judicial involvement from the outset without the need for so many exceptions to the warrant requirement. He argued that new technologies can lead to more effective and more equitable policing with greater accountability to the courts and the public at large. Professor I. Bennett Capers of Brooklyn Law School presented on “The Fourth Amendment in a Brave New World” as a part of Chicago-Kent’s faculty speaker series. The audience appreciated the intention behind Professor Capers’ proposals, but some faculty members expressed concerns over whether some of the interventions he suggested could actually undermine some of his main aims or have other unforeseen consequences. For example, Professor Capers suggested using electronic scanning devices to detect whether citizens are armed with guns. He thought that it would be less troubling to scan everyone than it would be to maintain the current system of stop- and-frisk policing, in which racial minorities are often targeted. Some faculty members worried that such technology might actually enhance discrimination, citing examples in England where people in charge of monitoring video surveillance have been found to zoom in more closely on people they do not like. They suggested that officers might turn their scanners on the same people they often choose to stop and frisk now. Professor Capers responded that there could be requirements for search by scanner that are similar to existing rules for subway searches and airport security scans, and that perhaps randomization and audits need to be built into the process. Additional questions centered on unforeseen consequences, particularly those that might follow from Professor Capers’ controversial idea of using facial recognition technology to access a person’s criminal and other records just by scanning a person’s face. Some in the audience wondered how such a large database of information would be safeguarded, especially when mug shots are often publicly traded. Some faculty members also expressed discomfort over increasing the ease of accessing such information at a time when the police force is highly militarized and might use the information as a justification for violence against undeserving citizens. These are challenging questions without clear answers. Of course, the discussion itself supports a main facet of Capers’ argument: technology is neither inherently rights-denying or rights-enhancing. It is neutral. And with situations like that in Ferguson seeming to increase in frequency, it is important that we follow down Professor Capers’ path and at least try to steer our use of technology toward creating a fairer world. Inadvertently, this ordeal has shown how woefully ignorant the general populace is about intellectual property law. Comments like “I have decided to copyright the word King. Anyone found calling their game or company King will either change their name or pay me royalties. :)” and “So Microsoft can sue the guys who put the Windows in my House?” are nonsensical, legally speaking. Still, there is a semi-legitimate thread running through the rage: “How can King trademark a simple word like ‘candy’?” The off-the-cuff response is, “The same way that Apple Computers has trademarked “Apple.” All trademarks take the form Mark [X] for Brand [Y], where X≠Y. Apple has Apple™ for computers, but not for airliners, lingerie, or fruit. King wants to register “Saga” for “Provision of computer games on line or by means of a global computer network” and similar services. That falls within International Classification (IC) 41, per the Trademark Office. On Monday, February 22, Jack Getman of the University of Texas Law School spoke to a gathering of faculty members about what makes a great law school. Dean Krent observed that as a novelist, professor, and clinician, Professor Getman is uniquely positioned to comment on different approaches taken to law professorship. Professor Getman claimed that two unique characteristics made law schools great, in spite of administrators’ efforts to game widely published and relied upon law school rankings. 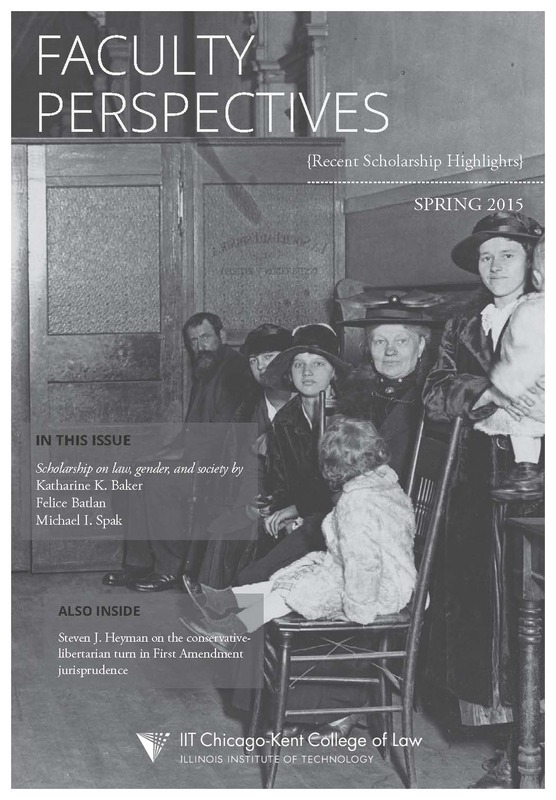 First, great law schools produced new ideas and innovative approaches to the law. Second, great law schools focused more on teaching students than publishing in academic circles.